A MIT team has developed a fleet of driverless boats. 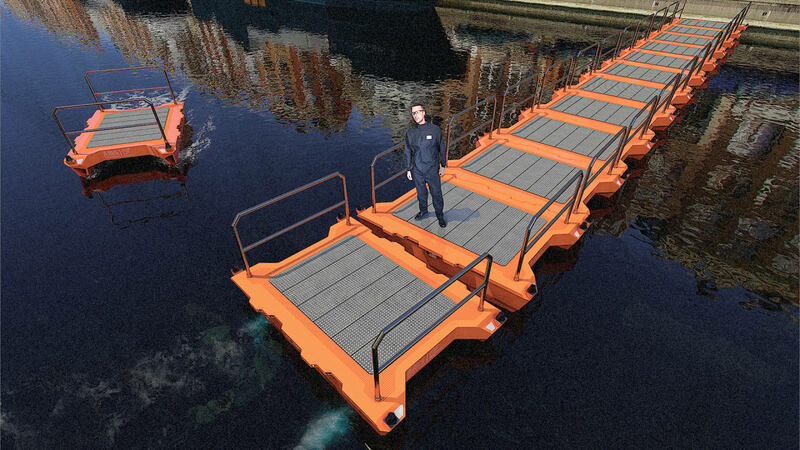 They can ferry goods, people and monitor traffic and the environment.. This could help free-up road congestion in waterway enriched areas like Venice, Amsterdam, Miami and Bangkok. The autonomous boats operate with precise control and high maneuverability. Scientists envision a future where driverless boats can perform city services overnight, further reducing congestion. For instance, deliveries and waste management could be performed at night, which would reduce daytime traffic. But, there's a lot more than that. The boats are roughly 4 by 2 meters. They are extremely high-tech. They contain location trackers, sensors, microcontrollers and other hardware. They can be programmed to self-assemble into platforms for food markets, floating bridges, connect stages and forums in just a few hours. MIT researchers 3D printed the rectangular hull with a commercial printer. That produced 16 separate sections that were spliced together. The hull was sealed by adhering several layers of fiberglass. The hull contains a power supply, GPS, WIFI, antenna, minicomputer and microcontroller. The team says they're inexpensive to manufacture. It's big. These driverless boats can be used for transportation, possibly cutting congestion on our highways. And besides ferrying people and goods back and forth on water, they can be equipped with environmental sensors to monitor water, air and human health conditions. Another impressive tech breakthrough from MIT.